Around 186 people attended an assembly of the Marist Association of St Marcellin Champagnat in Adelaide, Australia, from Oct. 2 – 4. “It was significant because it was another meeting among those Marists who wish to ensure the vitality and viability of the Marist life and mission,” affirmed general councillor Brother Ben Consigli on Oct. 10. During the Assembly, which is held every three years, a new Council was elected and the results will be formally announced in the next few days. Participants included young adults, families, brothers of the province and brothers of the general administration: Br Ben, vicar general Brother Luis Carlos Gutiérrez, general councillor Brother Ken McDonald, Brother Tony Leon, director of the Brothers Today Secretariat and Brother Jeff Crowe, formator of theLavalla200> international communities for the new beginning programme. The venue for the Assembly was Sacred Heart College, a school started in Adelaide by the Brothers in 1897. Although there are no longer any Brothers on the school’s staff, it remains very strong in its Marist identity and it is now governed by the Marist Association. There are now over 850 people across Australia in the Marist Association, including several priests, three bishops with strong Marist identities and over 100 brothers. One of the tasks of the Assembly was to have a consultative vote for the election of the Association’s Council. Similar to the province, a new Council is elected every three years, during the Assembly. 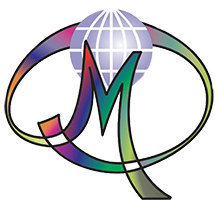 It holds the ultimate governance responsibilities for the core Marist ministries in Australia, including education, youth ministry, social works and solidarity. 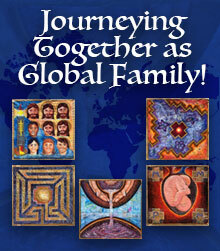 The Council is also responsible for guiding the members as a Marist spiritual family. 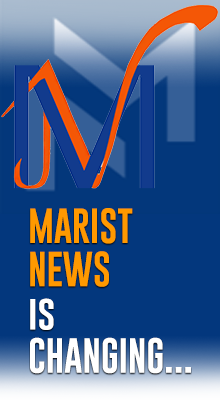 Click here to read this report on the Marist Association’s website. Click here to view the view the Photos taken at the recent National Assembly in Adelaide.